It’s the age of big data. The more data a company can collect then the theory goes that the more of a competitive advantage they can extract from that data. So data collection is a thing. Companies go all out today in order to collect more data than ever before. Then there comes a moment when it becomes clear that there’s too much data. We need to interpret it in a way more conducive to our own thought processes because all that raw data is too much to consume. So in comes the information dashboard. When that initial tidal wave of “big data” arrives it’s as much fear inspiring as it is awe inspiring. Yes, there may be plenty of incredible applications for that data just waiting to be discovered but our first priority is to keep our heads above water long enough to discover anything. Our “fight or flight” responses kick in when we perceive something as a threat. If we can control something; it’s not a threat and we can then take meaningful actions that don’t involve fleeing the building or punching our keyboards. That is the primary purpose of information dashboards – to put us back in control. By collating key data points and illustrating them succinctly we feel that we have control (even if that control is illusory in reality) over that data. It’s something we can handle and deal with sensibly. If you correctly identify the most critical data to your business; then having it presented in a way that works best for you offers clarity. It enables you to see clearly what’s happening to the fundamental parts of your business and to take some action (or not to take action) as you think necessary. If you need to do several things in a day it can be hard to work out how to fit them in to your available time. A well-designed information dashboard can help you prioritize actions that you will take and determine when to take them. It’s a great way to regain some control over time management by enabling you (and your team) to focus on areas that offer the greatest potential to improve your KPIs. Great information dashboards can act as an alarm system and with careful long-term use those alarms can become increasingly more sensitive and sophisticated. Endless experiments have shown that people struggle to deal with complexity. The more channels of information you have; the more likely that you are to become overloaded and avoid decision making or action taking. 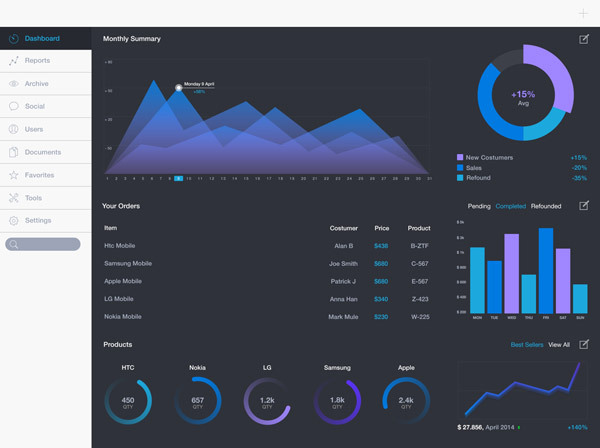 Well-designed dashboards are supposed to cut through complexity and allow you to make decisions based on valuable data. Information dashboards are a primary tool to help us resist the huge volumes of data that we’re required to navigate at work. They need constant iteration to deliver the maximum benefits but all the benefits listed here are reasonably easy to attain with some careful thought about information dashboard design.